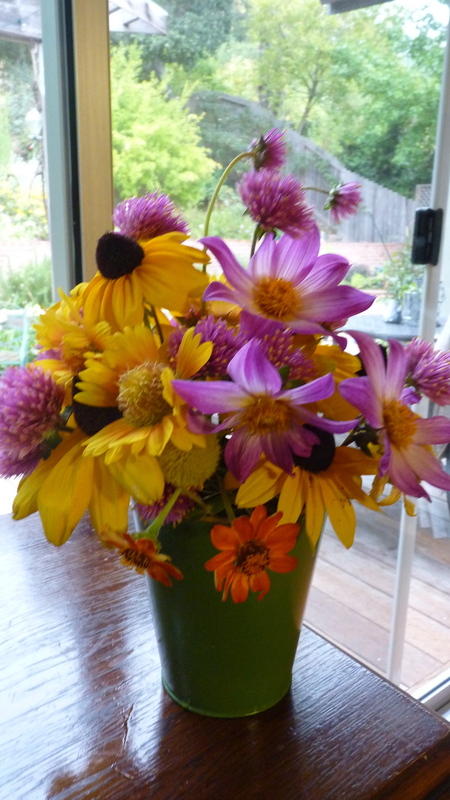 My artful bouquets are a creative expression of my muse and garden each day. 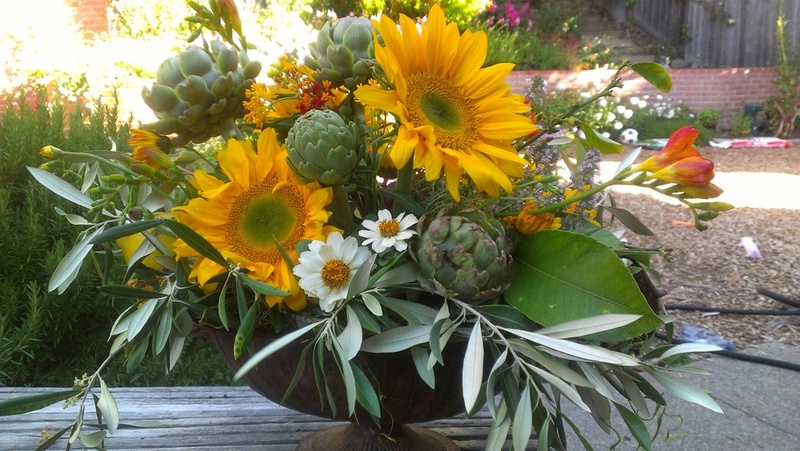 Today's Bouquet will always be made of fresh, seasonal and sustainable flowers grown in my backyard cottage garden or locally in the Bay Area. I hope you will contact me for a bouquet, garden coaching, or to discuss any whimsical projects to be celebrated with flowers and art. Celebrate the Seasons Sustainably, Naturally, & Locally!